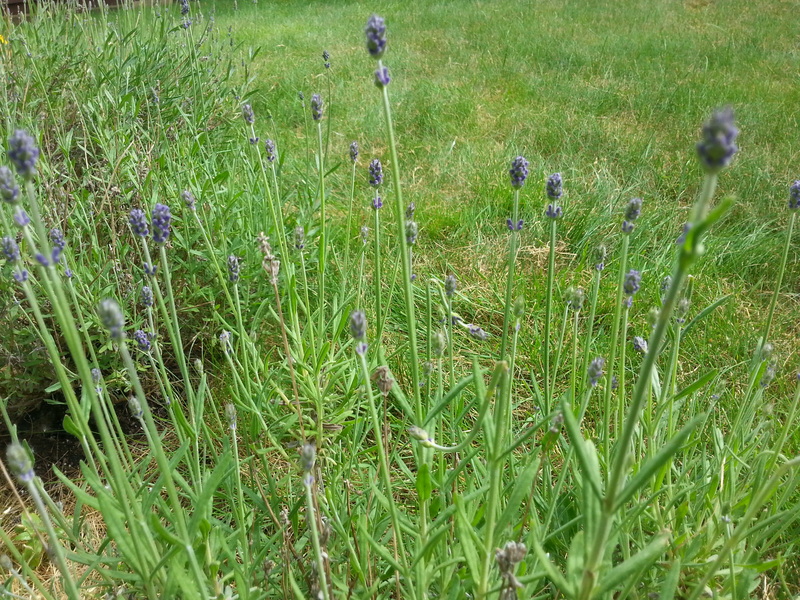 Our garden of delights has now made way for two of my favorite, most colorful, and most fragrant of my plants: The purple lavender is now blooming and is filling the garden with its delightful scents. Also, our wild rose bushes are filled with pink blossoms and every time I go outside to the front or back garden, I am serenaded by the wonderful scent of my roses. This is such a wonderful time of year as all the summer blossoms and flowers and abundants. The weather is gettting warmer and all of the summer activities and outdoor adventures are beckoning. It’s time to make cold dishes to eat for Summer. It’s time to make cold dishes to eat for Summer. 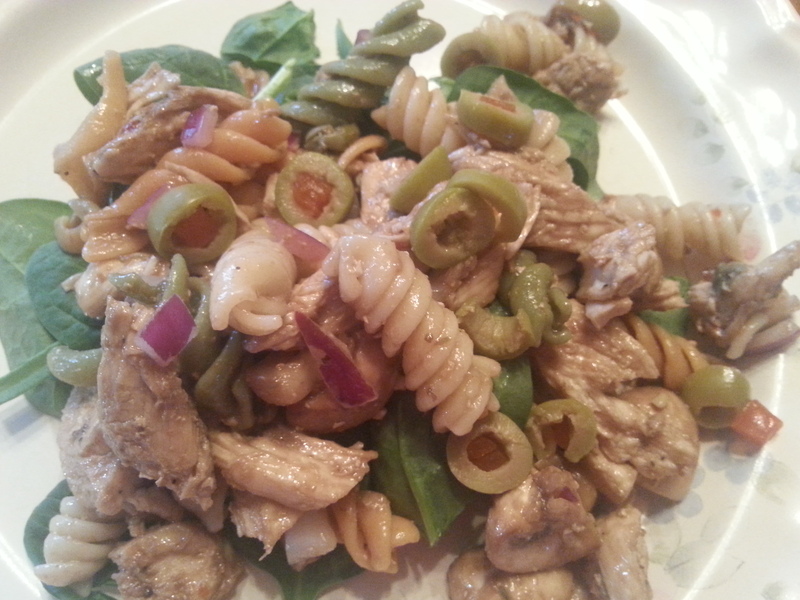 So this week I made a cold pasta salad with grilled chicken, raw red onion and mushrooms, capers, roasted garlic and green olives, tossed in a fig balsamic vinaigrette, served over a bed of fresh, raw spinach. It was yummy! In my garden, Spring flowers are now waning. Crocus, Daffodil, Hyacinth and Tulips have all faded. New Summer flowering bushes, as well as star gazers, rhodies, lillies, roses and azalaea are starting to burst forth. All of my flowering bushes are starting to flourish as my rhodies are all blooming as well. 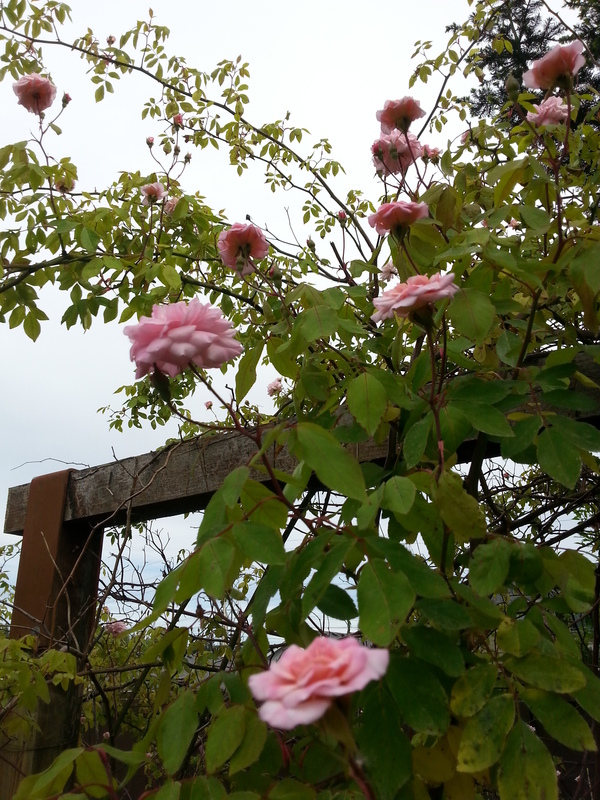 The roses have buds and the star gazers continue to rise into the sky. One of my favorites in my garden is my azaleas. 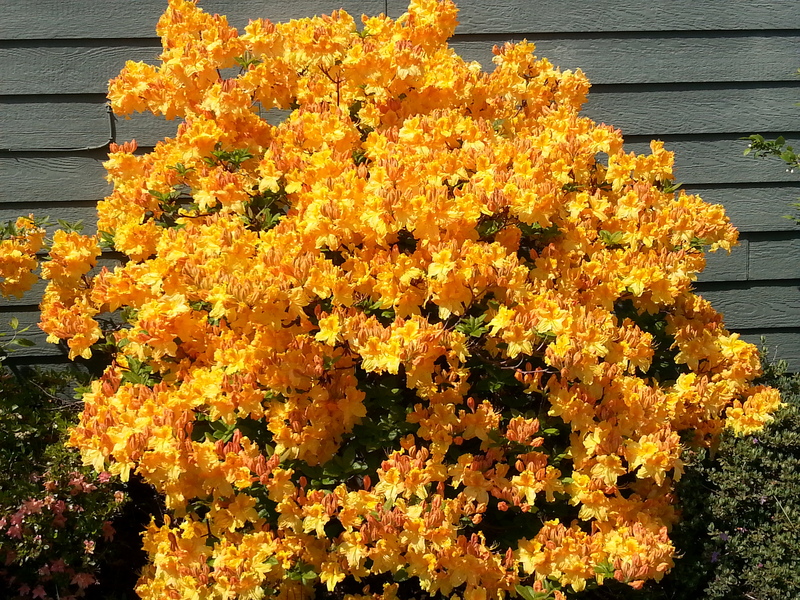 My particular bush is so full of color, so bright and orange, that I call it my fireworks bush, because when it is in full bloom, it looks like a burst of fireworks in the Summer sky. It is so full of life and color that it makes me happy every time I see it. The Hanging Gardens of Babylon were actually in Nineveh and not Babylon, and they were built by Sennacherib, not by Nebuchadnezzar. It’s interesting how much of history is skewed, since it is written typically by usurpers and people who have hanged heroes and taken credit for what they did not invent, stealing the fame of those who actually deserved the credit and were worthy, but were snubbed out of jealousy. The Hanging Gardens were a marvel of the world and the way in which the water was carried uphill to water the great fruit tree groves was genius. Even the aqueducts Sennacherib built were a marvel, centuries before the Romans came. 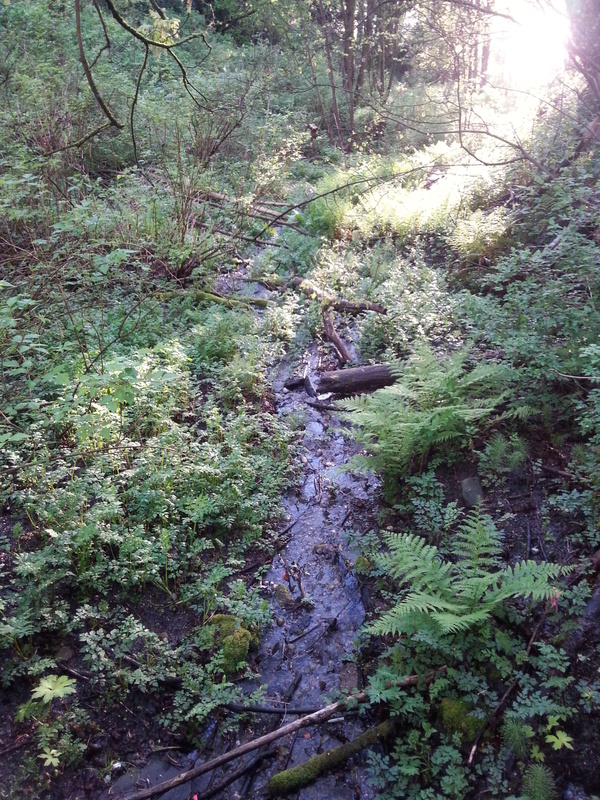 Senacherib actually invented the Archimedes screw, centuries before Archimedes was born! When reading history, one must always consider that certain people have been dispossessed of the credit they deserve and one must dig deeper to find the truth. I hope one day I can invent something as amazing to enchant the world as Senacherib’s Hanging Gardens.